Silverline Towing specializes in motorcycle towing. We provide fast and reliable services to our community. 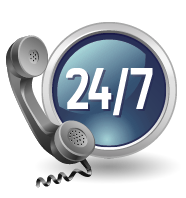 We pride ourselves in our fast arrival time and our 24/7 and 365 days a year of easily accessible service. Our call center is always manned and our tow trucks and technicians are ready to go at any moment. We perform our services with the cooperation of an independently owned and licensed tow truck operators. Our techs are highly professional and are using state of the art equipment. Motorcycles require somewhat different towing solutions than other vehicles. Our trained tow truck technicians aim to provide motorcyclists with complete peace of mind that in the case of an emergency we are a phone call away. Owning a motorcycle is different from owning a car. It is much more personal and most motorcycle owners get attached to their vehicles much more than car owners. Precisely for this particular reason you should only select a professional motorcycle towing service company – Silverline Towing! The fact that we are local allows us to have quick, efficient response times with an excellent quality of service. We are able to maintain a fast response time and will be by your side for any towing and roadside assistance. We provide you, our customer, with honest and competitive rates. The benefits of being a local company is that this enables our customers the security in the knowledge that help is always nearby, especially in the case of motorcycle towing. Motorcyclists are more vulnerable in roadside situations, being that you are exposed to the natural elements and other larger vehicles on the road. We want to keep you safe! Silverline Towing boasts a team of motorcycle towing experts. We pride ourselves in providing a reliable service from qualified technicians, who are fully equipped with all the necessary tools. We also provide roadside assistance and our trucks and technicians are always on call. We provide our community with peace of mind as we are always available to you. Silverline Towing provides you, our customer, with a constantly manned dispatch center & qualified and friendly technicians. We also offer honest and unbeatable prices. We possess a variety of tow trucks that cater to even the lightest of vehicles. We take care of your vehicle just the way you need it. Silverline Towing is always at your service! Remember, whenever you need reliable and affordable motorcycle towing solutions across the East Bay, all you need to do is contact Silverline Towing. We will gladly reach a helping hand.